Hipp Organic Creamed Porridge Breakfast (12..
Sprout Stage 2 Apricot Peach Pumpkin Organic Baby Food is made with whole, organic fruits and vegetables! 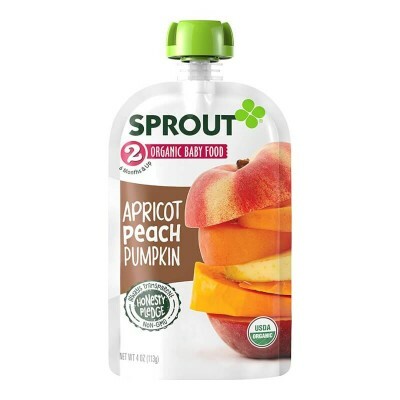 Formulated specifically for babies 6 months and up, Sprout Stage 2 purees are just right for developing preferences. INGREDIENTS: Organic Apricots, Organic Peaches, Organic Pumpkins, Organic Pears, Organic Apples, Organic Cinnamon, Organic Lemon Juice.